Gorgeous New Massage Bed with Storage! Are you looking for a new massage bed? This versatile bed is budget-friendly, versatile, and gorgeous! 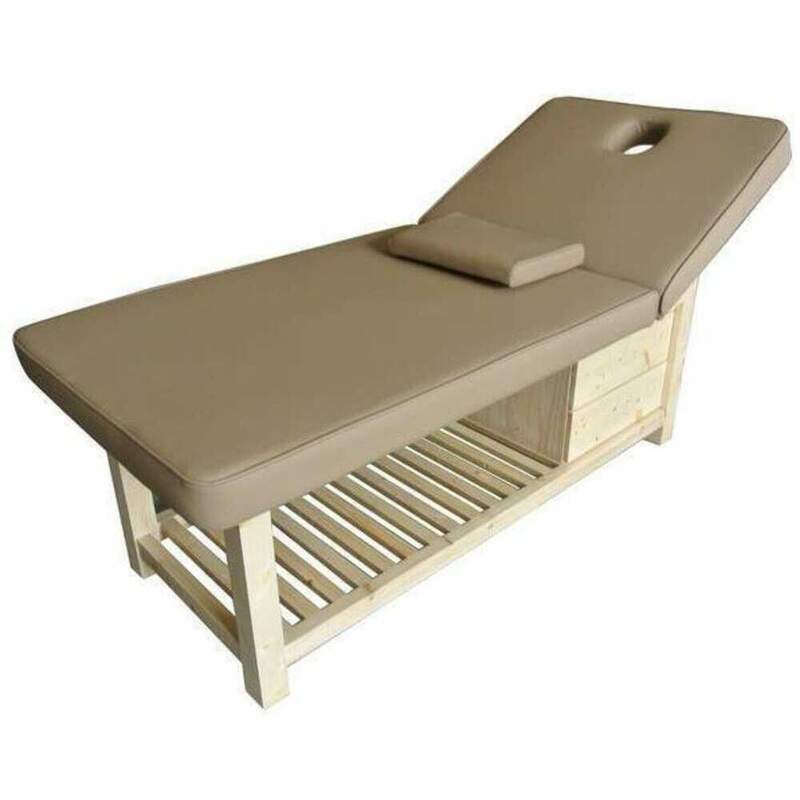 The Multi-Purpose Wood Frame Massage and Facial Bed with Storage offers quality performance at an exceptional value. The bed is ideal for private practitioners, gyms, fitness centers or home use. Crafted from solid wood, the bed has an adjustable back section, a sturdy frame, and ample storage - including 2 drawers. Sometimes, You Just Need to Talk it Out - With Pure Spa Direct! 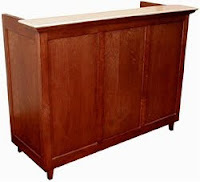 One of my favorite things about what we do is helping clients find just the right item for their business. Recently, I had a dermatologist in Illinois contact me, inquiring about beds for her new office. 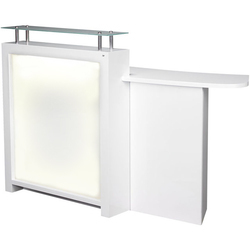 After a long discussion of what she was looking for, both aesthetically and functionally, I suggested she take a look at the Earthlite Everest Spa Tables. These tables are solid as a rock, and offer some excellent options that are perfect for medical offices, including Promessa Medical-Grade leather, electric tilt for quick adjustments with your client on the table, and even the option to add stirrups! My client loved the clean look of the beds, and ended up ordering 8 of them to outfit her office! She is also putting an esthetic room in her office, so she decided to add an esthetic chair as well, which we have a huge selection of. To put the finishing touches on her room, I suggested the beautiful Earthlite Alpha Trolleys - the ideal balance of beauty and functionality, as well as the UL-Listed Hot Towel Cabis to fit. With a little bit of planning and a whole lot of discussion, Pure Spa Direct really came through to offer our client the furniture that suits her needs best. Our sales representative are thoroughly trained to ask all of our clients many questions - not to be a bother, but rather to really get a sense of what our clients are looking for, so we can suggest the best products! We also love to hear what our clients are looking for so we can continue to grow our offerings with everything you love! 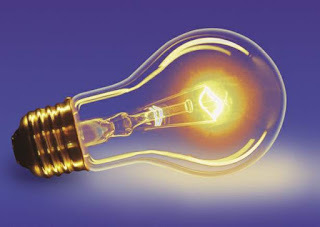 Call us today (ph: 800-434-0018) - we would love to help you take your business to the next level! Its Like a Dream - The NEW ComfortXDream Treatment Bed by Ionto-Comed! You've invested time and money in creating your business plan, imagining exactly how everything in your spa is going to be, developing your ideal treatment menu - now you just need the perfect client treatment bed to perform those treatments on! Introducing the Comfort XDream Treatment Bed by Ionto-Comed! This beautiful bed is made in Germany, and is high-quality versatility at its finest. 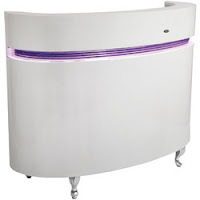 This unit is fully motorized, making it excellent for esthetic, cosmetic and massage treatments. The seat height, tilt angle, backrest and leg-rest can be adjusted by using four powerful motors via a remote control. The upholstery is comfortable and easy to clean. 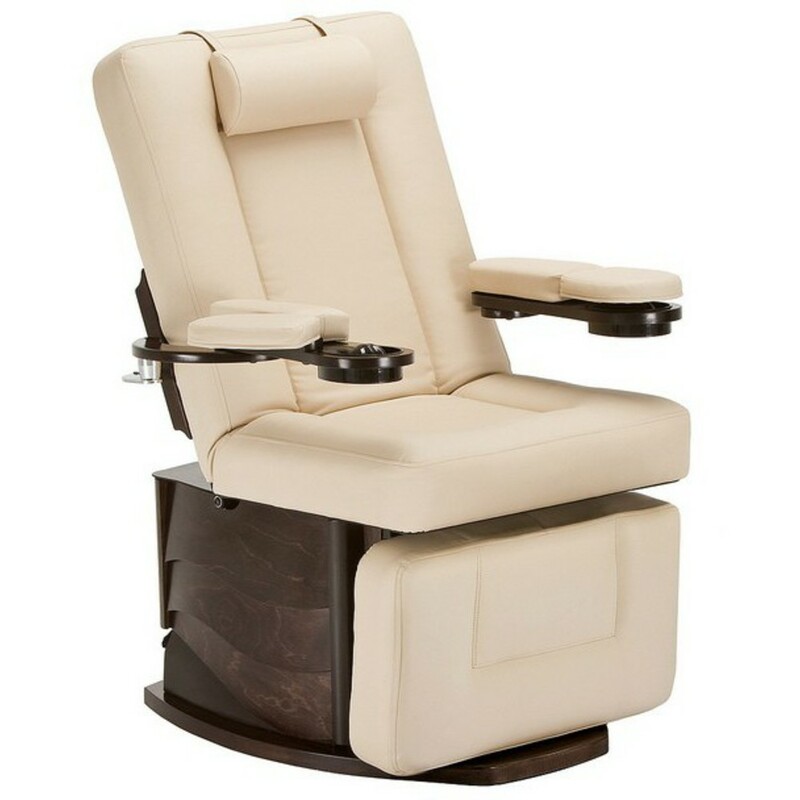 The head and footrest are extendable to accommodate clients of all heights. 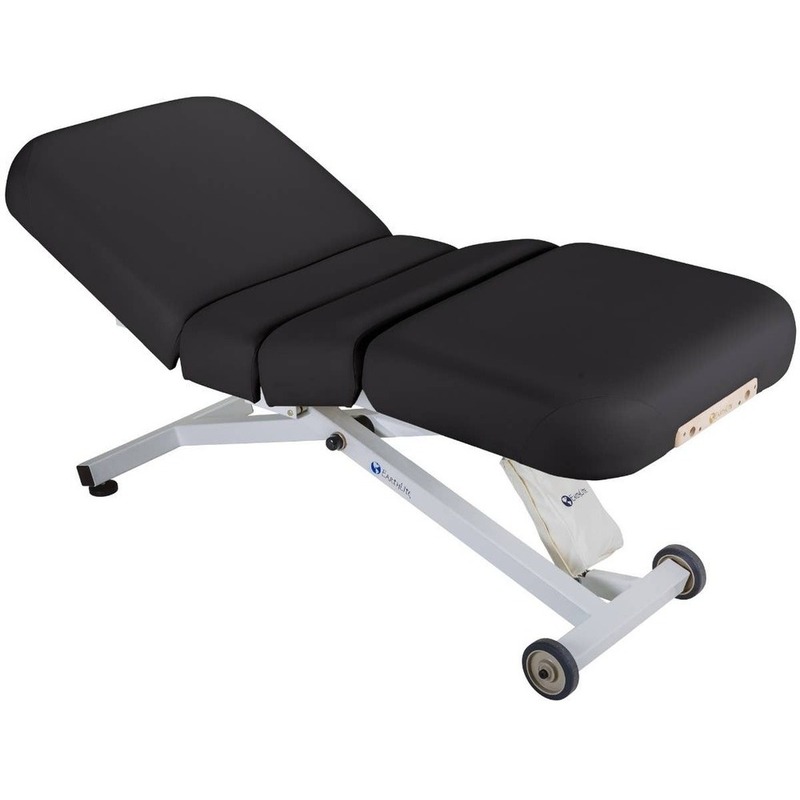 For client convenience, the bed lowers and the arm rests raise out of the way for comfortable entry to the treatment bed. Seat height, tilt angle, backrest and leg-rest can be adjusted by using four powerful motors. The settings are made with a remote control. The padding is comfortable and easy to clean. The Head and footrest are extendable. 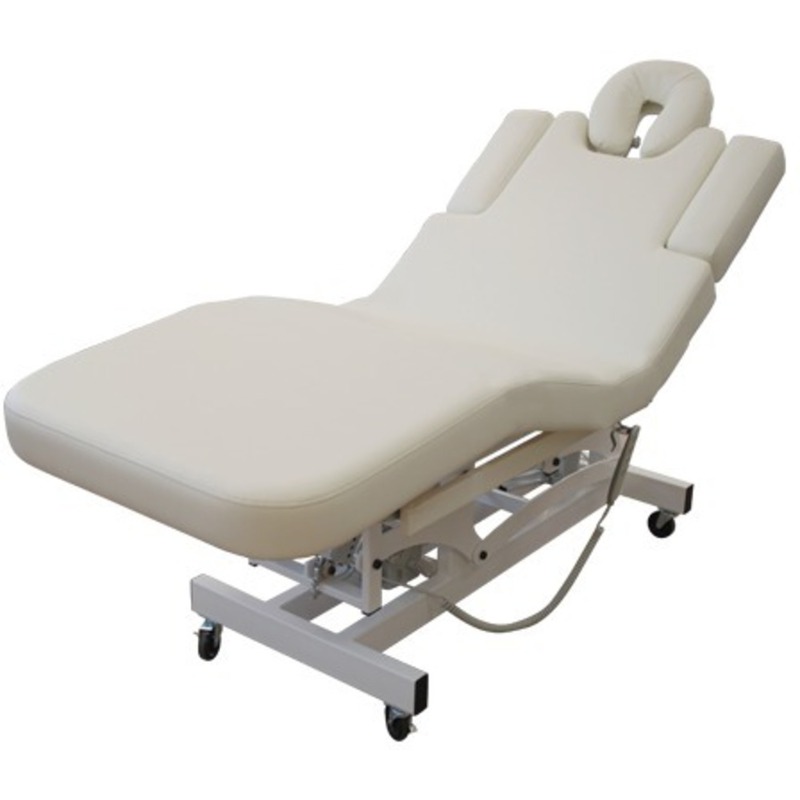 The lowest seat entry as well as the tilt able arm rests offer a comfortable entry to the treatment bed. 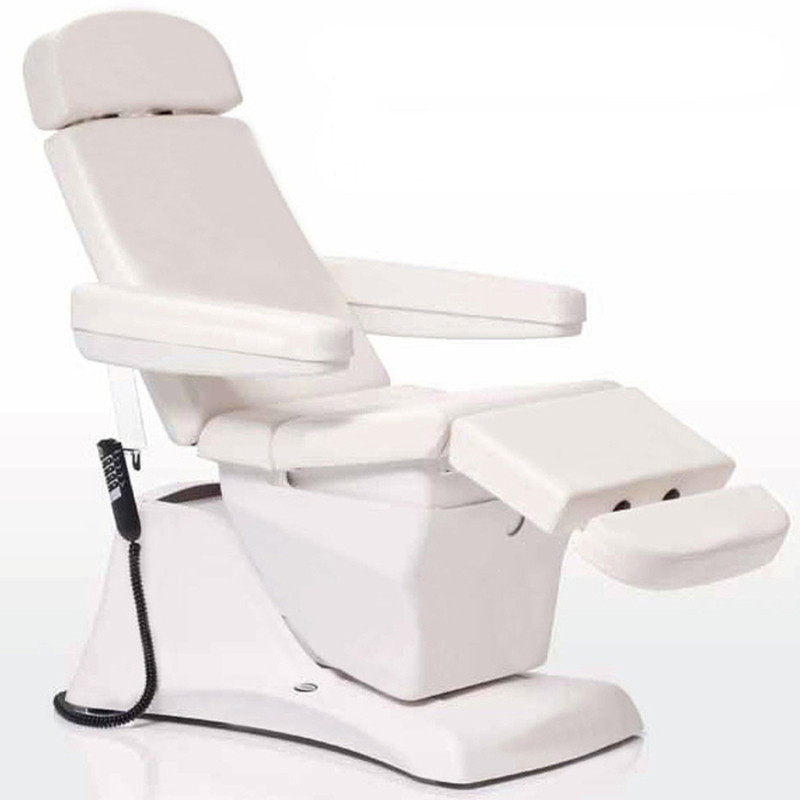 The IONTO-COMFORT XDREAM treatment bed can be used for all types of cosmetic treatment as well as for massage. With a lowest position of only 25.5", combined with the tilt away adjustable armrests, the XDream offers extemley easy access to the bed. Additional comfort is guaranteed with the vertical positioning of the back and footrest. A divided footrest which extends up to 4.7", making the bed perfect for footcare treatments. Another advantage is adjustment to the client`s height. 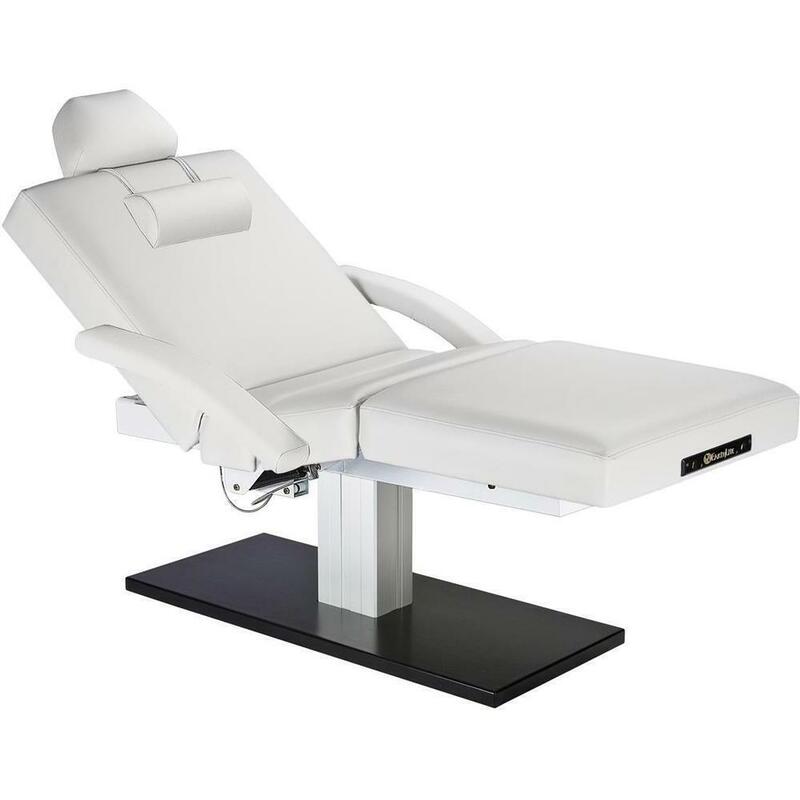 The headrest extends by 4.7" and enables the bed to be adjusted individually to the client`s height, as well as providing you with the optimal treatment setting. 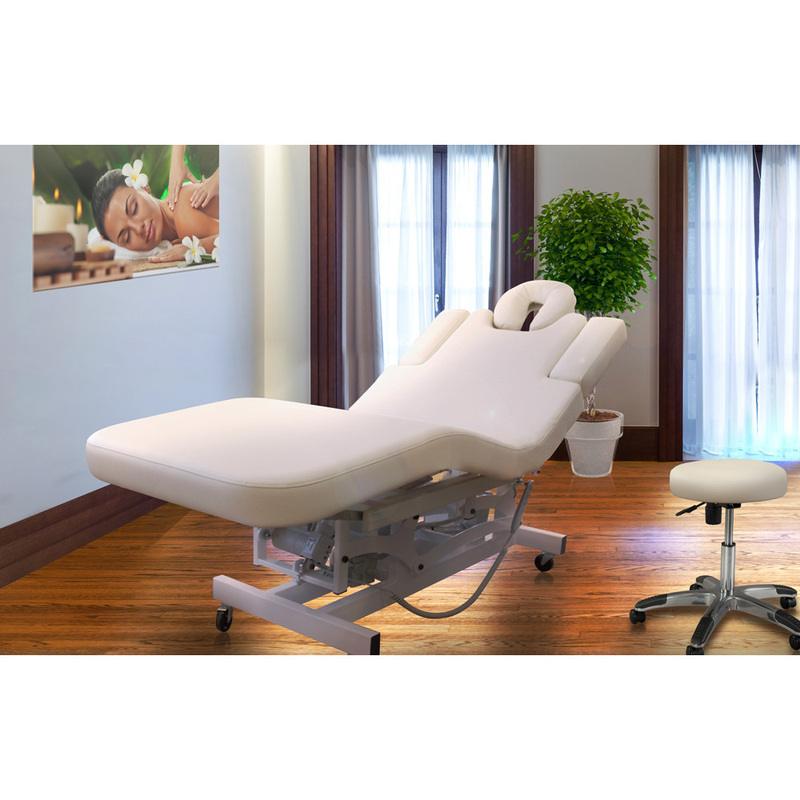 The XDREAM offers the utmost in comfort for massages with the client laying fully flat either on their back or stomach. The armrests, which are padded on both sides, and can be folded back, are a great help with massages in a prone position. The client can place his or her arms comfortably on the armrests during the massage. If You Read One Article About Spa Trolleys Today, This is the One to Read! 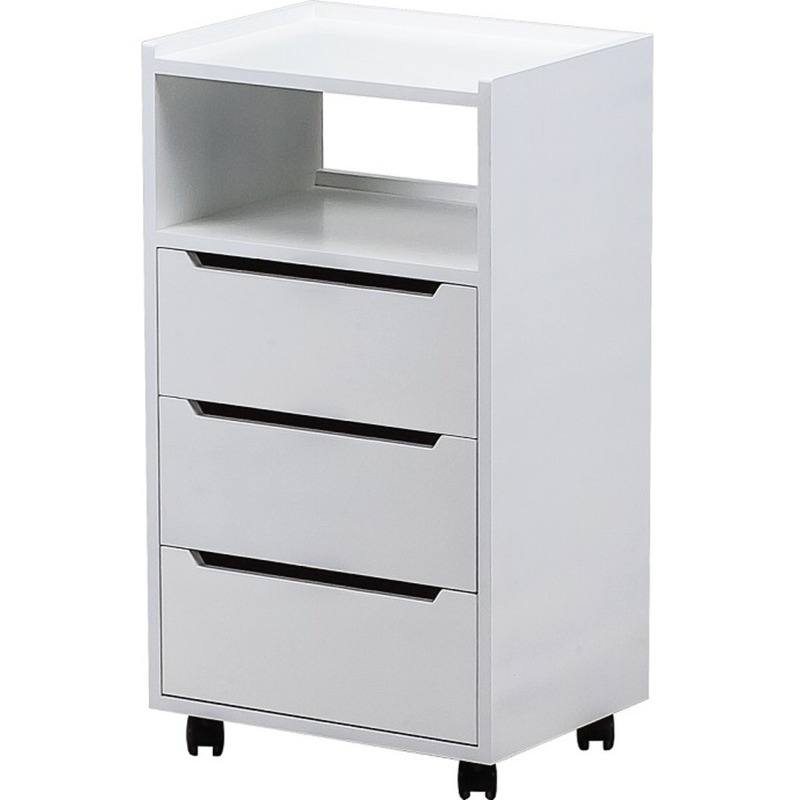 The Adriana Lacquered Wood 3 Drawer Trolley by Silver Spa is beautiful, with its clean, crisp lines, refreshing white lacquered finish, and functional to store your spa equipment and supplies. 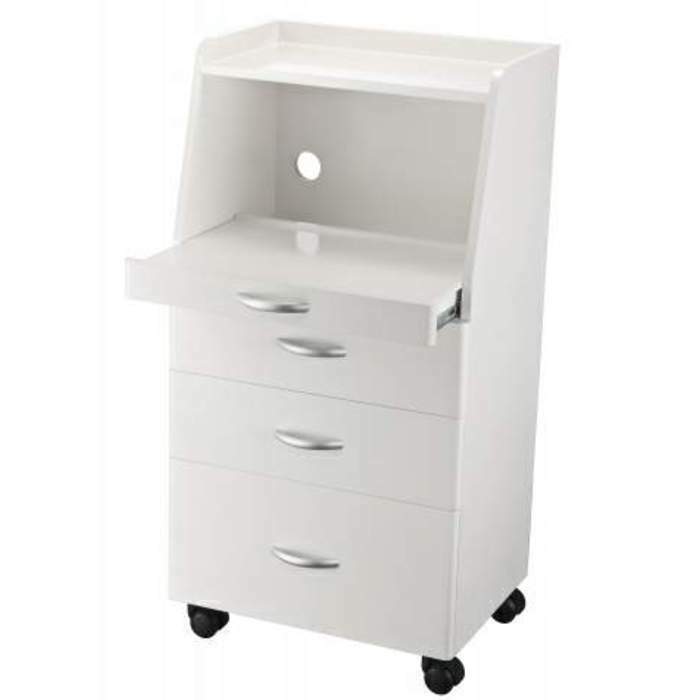 Equipped with 3 drawers, you will no longer want for space in your facial room, and the pull out shelf is perfect for making your life easier when using equipment on your clients! This trolley even features a cable hole to keep your space clean and uncluttered! 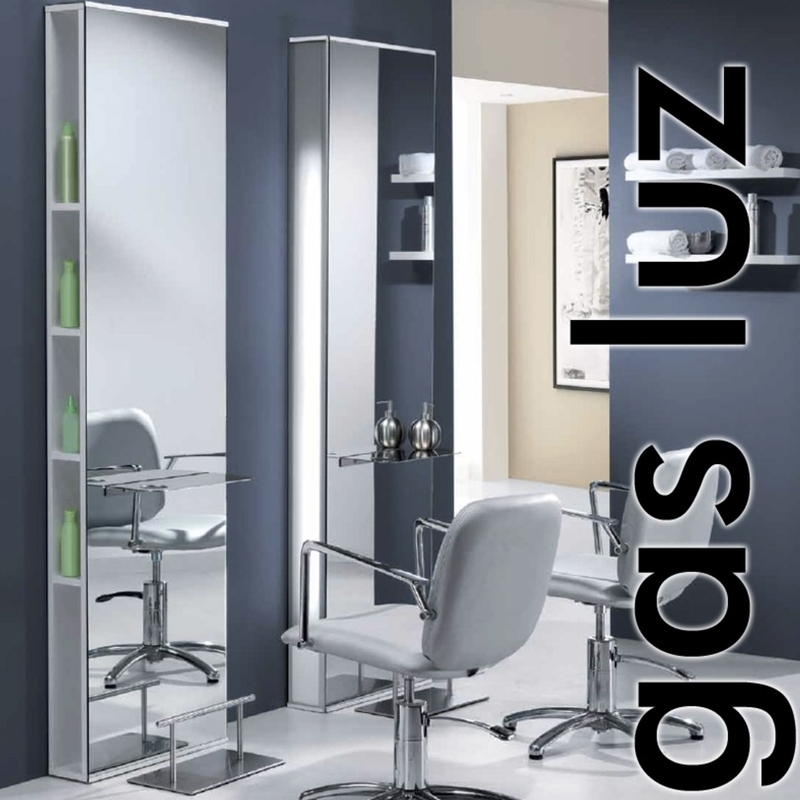 Looking for a great value in Hair, Nail and Spa Furniture and Equipment? HANS Equipment is the Answer! Let's face it... times are tough... the economy has been in the dumps for so many years it is getting hard to remember when business was booming. But, just because things might be tight, you don't have to give up on replacing old furniture and equipment in your spa or salon. You just need to shop smarter and look for great "Bang for the Buck". 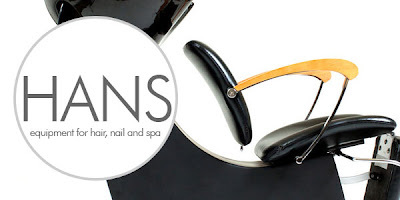 Pure Spa offers a line called HANS Equipment that offers great quality, great looks and great prices. From facial beds to steamers, from hot stones to styling chairs, HANS Equipment can be the key to your business start, make-over or growth... without breaking the bank.